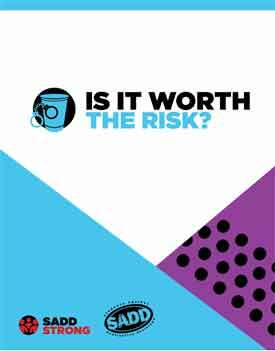 We are pleased to present Is It Worth the Risk?, a SADD National core program that uses peerto-peer based prevention strategies to engage schools, parents and communities about creating visibility and awareness in your community. Through this campaign, you and your peers will learn about real-life and legal consequences associated with underage drinking. family and other families. But it can also have a devastating impact on a teen’s future including, but not limited to, the following consequences.